One of our readers Seng Mee, has shared these videos with us, and take a look at how low one can stoop and these are legalized thugs in this country..
No respect for religion and they continued their thuggish behavior even in places of worship. Seeing all this, don’t you think our Rakyat was actually being very very very kind to these thugs by merely throwing just Mineral water bottles ? Now the police wants help in identifying their own men ( LOL, ROTFL, LOL AGAIN) I know, its hilarious.. they know 49 people from 28 million citizens and know their addresses but they don’t know their own men ? The following interim report was produced by the International Fact Finding Mission that was present during the Bersih peaceful rally , led by Senator Nick Xenophon and they were also a victim of the teargassing by our PDRM thugs. 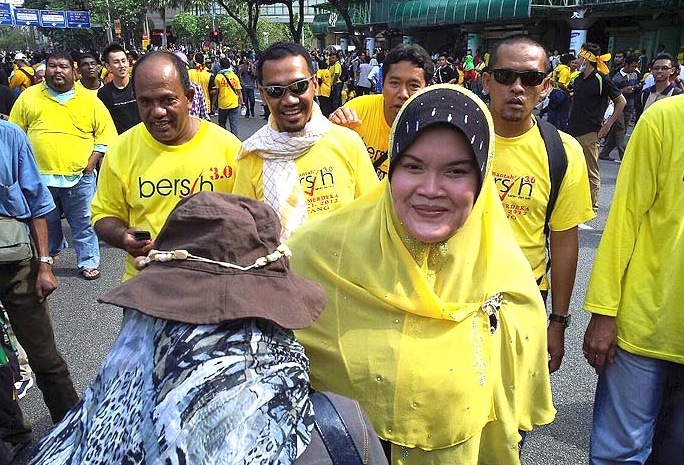 Those Rakyat that were present during the Bersih 3.0 peaceful rally, have all notice these “ghost thugs” that have removed their velcro name and number on their uniform. Which SOP is this ? As Rakyat of Malaysia, we are currently confused on PDRM SOP, since there seems to be many different SOPs of PDRM, Hishamuddin PDRM SOP, IGP PDRM SOP, etc etc..
You could also watch this next video by Malaysiakini that outlines an interview with two victims of PDRM Police Brutality, notice no tags.. no name. 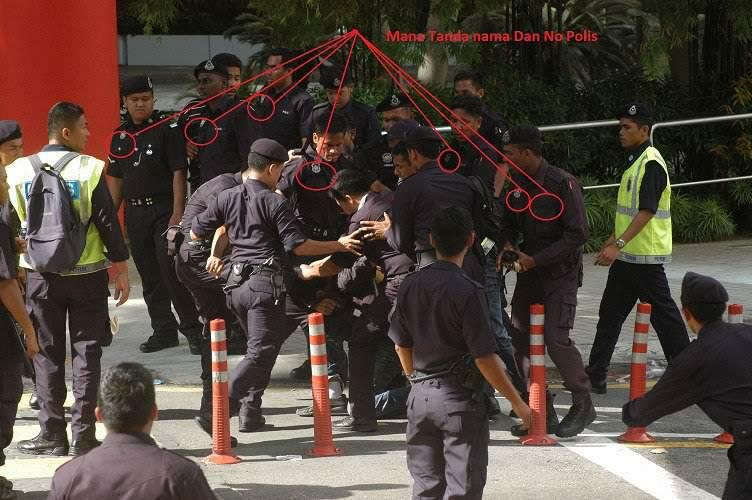 This next scene gives a true picture of why those water bottles were thrown at the PDRM thugs. 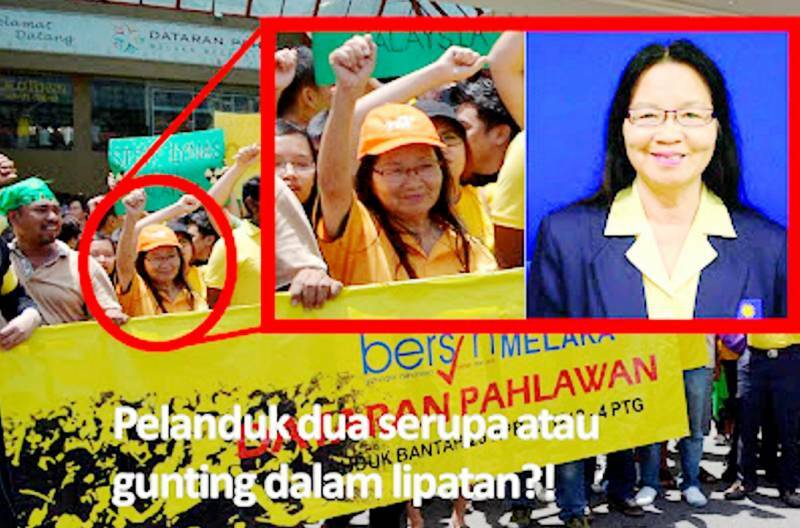 It was a form of protest against brutality of innocent Rakyat. PDRM is lucky, we Rakyat are not the brutal and violent type , and we didn’t come with anger and vengeance. All they wanted was a peaceful rally and demand fair Elections. Too much to ask ? Congratulations to our local artist Aishah who has the guts and bravery, that most people do not posses..
Congratulations to this lady who has the guts and bravery, that most people do not posses.. Senator Nick Xenophon has been subjected to an extraordinary attack by a state-controlled Malaysian newspaper – publishing a 2009 speech in which he was critical of Scientology, but replacing references to that religion with the word ”Islam”. Now , who is the liar here ? Senator Xenophon said he was seeking urgent legal advice to take the paper to court and wanted an immediate retraction. He wants to sue the malaysian newspaper. Malaysians are intelligent and when will our leaders realize this?